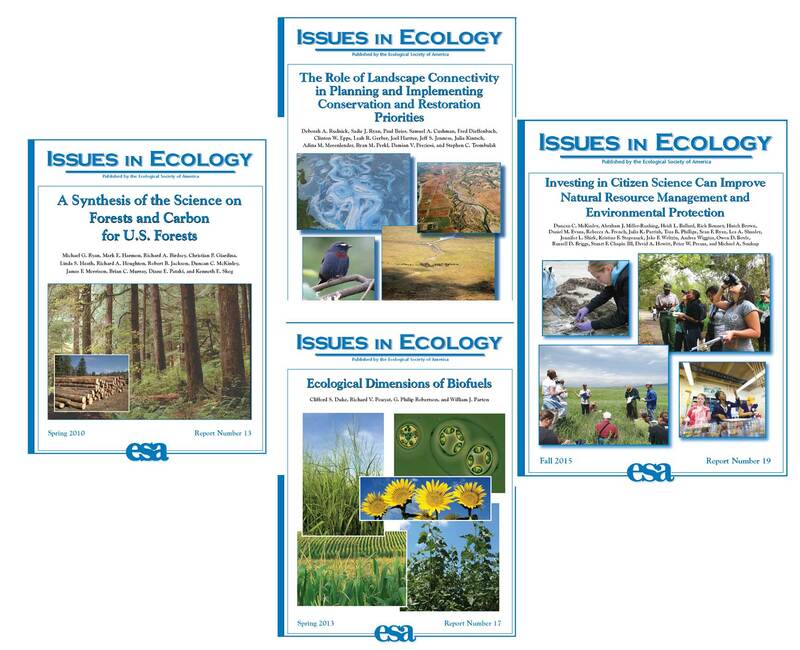 This publication series uses commonly-understood language to report the consensus of a panel of scientific experts on issues related to the environment. The intended audience is decision makers at all levels for whom an objective presentation of the underlying science will increase the occurrence of ecologically informed decisions. Biofuels, generally defined as liquid fuels derived from biological materials, can be made from plants, vegetable oils, forest products, or waste materials. The raw materials can be grown specifically for fuel purposes, or can be the residues or wastes of existing supply and consumption chains, such as agricultural residues or municipal garbage. In this series of four reports, sponsored by the Energy Foundation, we explore the production and use of biofuels from an ecological perspective. The four reports discuss relationships with land use and biodiversity; forests; grasslands, rangelands, and agricultural systems; and water, soil, and atmosphere, respectively. Issue in Ecology No. 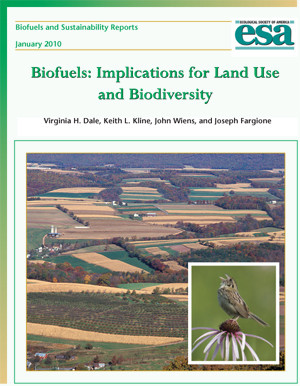 17 provides a general summary the ecological dimensions of biofuels.